Another film about a sports discipline that removes the barrier between the spectator and the participants of the competition. 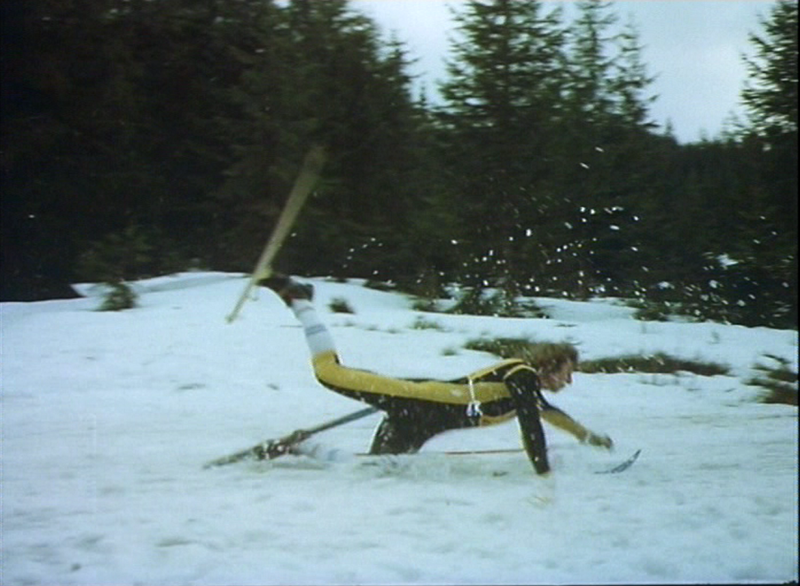 The scenes of ski jumps have gone down in the history of cinema. All of them were made by Adam Krzysztofi-ak, an Olympic Winner, participant of world championships and multiple cham-pion of Poland. It should be remembered that the camera and the double battery weighed 30 kilos at that time. After shooting the popular sportsman thanked God that he was able to have dinner with his wife.